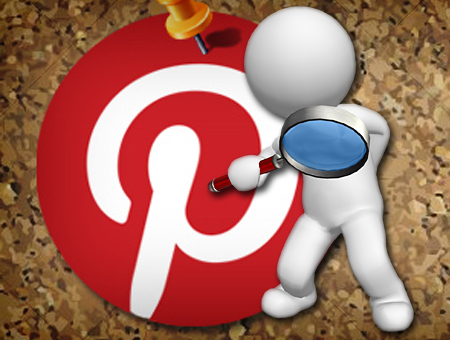 Pinterest: Social Media or Seach Engine? Pop Quiz: After Google, what is the second most popular search engine? If you said Yahoo! or Bing, you're typical but not correct. The right answer is YouTube! More people use YouTube's search to find what they're looking for than use Bing, Yahoo!, Ask and AOL combined! And who is number three? If you said Yahoo! or Bing, you're wrong again. According to Shareaholic Analytics, in October of 2013, Pinterest had more traffic than either of them. For the uninitiated, Pinterest is an image-based information sharing social media website where users create and manage image collections in categories, such as favorite places and spaces, interests, and hobbies. Users browse other members' pinboards for images and can "like" photos and even "re-pin" images to their own pinboards. The audience for Pinterest skews highly female. Pinterest has 25.6 million users spending an average of nearly 15 minutes per visit. Many users simply log onto the site and browse through the latest images posted by their favorite users. However, an ever-growing number are using the search tool as an actual search engine to find solutions to problems, answers to questions, and suggestions and ideas for items to buy or services to contract. Pinterest offers business accounts. Those accounts allow the owners to display all the important information about the business so prospective customers can find and contact them. Communicative photos and shareable infographics posted from those accounts can link to the company's website. Pics become clicks. And clicks create purchases. While businesses of all types are taking advantage of Pinterest, builders, landscapers, remodelers and interior decorators are getting great results from Houzz, a similar site aimed at that specific market segment. While Pinterest is general and skews female, Houzz is more targeted and skews just a bit more male. All of this comes as a surprise to the many marketers and business owners who still regard much of social media as just fun and games but not serious tools to help their business. However, smart businesses are already capitalizing on it and, like they did with Google and YouTube, are turning Pinterest into sales. If a picture or informational image can communicate your brand's value proposition, so can you. This article originally appeared in the Biz Times Social Media Strategies.